Out of all three zones, Calgary has the highest number of cases. Vaccine is urged for infants and youngsters. Statistics shows 3 out of 1000 cases could result in death in North America. This is truly alarming. Vaccination and immunization programs will be announced soon. 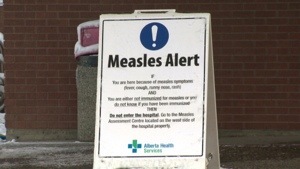 Check Alberta Health Service website for details.